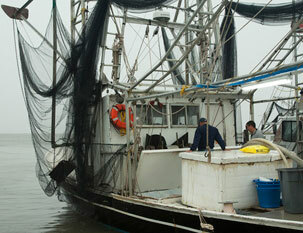 The impacts of Katrina, Gustav and Isaac continue to affect fishermen a decade later. Other man-made disasters (most notably represented by the Deepwater Horizon Oil Spill) have equally long-reaching effects, and even today threaten the coast and those who rely on it. CCC plays an integral role in supporting economically disadvantaged individuals and their businesses by coordinating with the Small Business Administration (SBA), the Louisiana Small Business Development Center (LSBDC) and other partners.